Laska was one of our first Porcelaines received from Svatava Beronkovi in Czech Republic. We received sisters, Laska & Freya, in 2013. 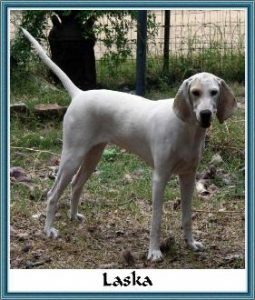 Since then, we have fallen in love with this breed and Laska was the perfect example of everything we love about them.